Since he cannot do an inner paint, are wearing of the inner center cover ('ﾐｴ') which looked at this product and has fallen in l... Since he cannot do an inner paint, are wearing of the inner center cover ('ﾐｴ') which looked at this product and has fallen in love at first sight, but. Without also removing especially a sheet, although removing and equipping with a sheet was described by the instruction manual, although it was itself of beginners custom, it was able to equip easily. 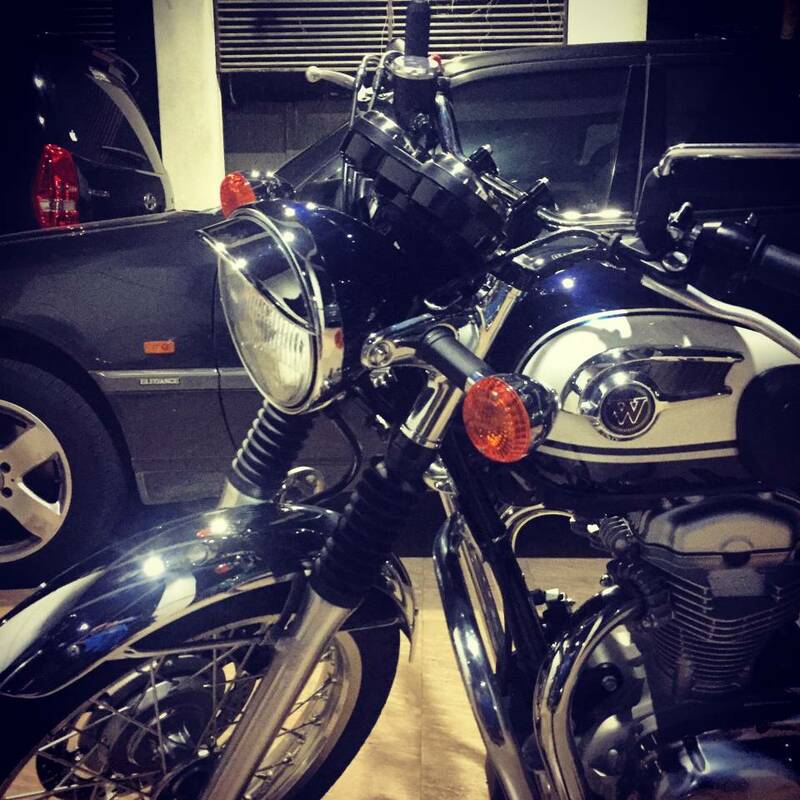 The object for CB1300 SC40 was purchased. Good point - appearance is good. - attachment is preeminent for an effect to the a... 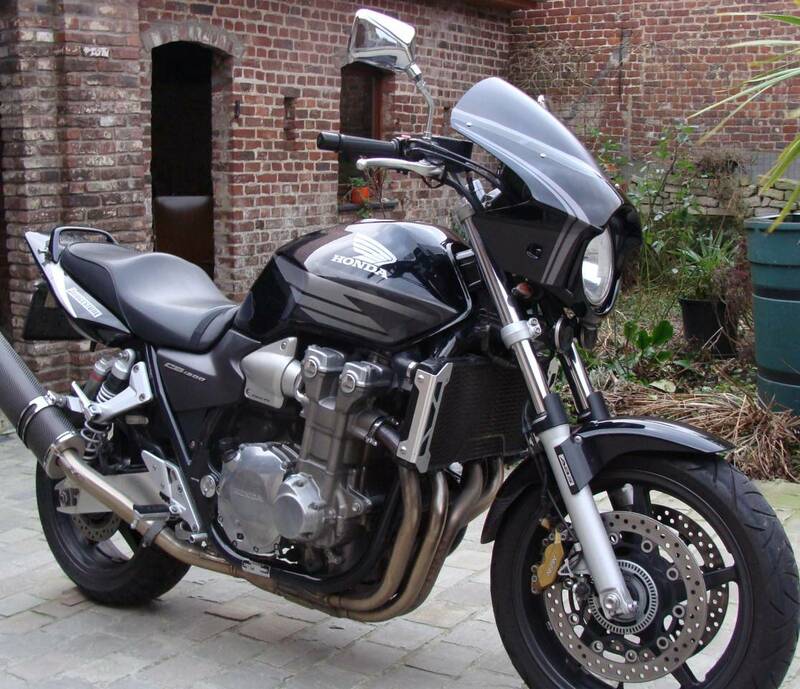 The object for CB1300 SC40 was purchased. Good point - appearance is good. - attachment is preeminent for an effect to the air screen of easy and high speed operation. Bad point that - car body looks greatly - price is high. - attachment interferes in a horn somewhat? Overall comment: Since a car body looks large and is smart anyhow, it is large satisfaction. Although it may remove occasionally, it cannot remove, once it attaches. He wanted to come to equip a bikini cowl for a makeover, and it wavered with the blaster II and this product of N project. I... He wanted to come to equip a bikini cowl for a makeover, and it wavered with the blaster II and this product of N project. It regarded suiting round touch of a zephyr after all as it being this, and it decided on the road comet. managing contractor painter of the daytona was used for paint application. The line was not painted but was substituted for the commercial cutting sheet. When equipped, appearance changed at a stretch and became like another motorcycle! Since * wearing which is very pleasing is easy, it is also pleasant that it can attach by feeling or cannot attach. Although most protection-against-wind effects were not expected, when having ridden for a long time, I think that fatigue stopped accumulating as before! Honda X11 Bikini cowl Excellent product, fits perfeclty, color matched with original motorycle very well. Very easy to install, happy with the product and looks very good on my bike. Different from the description I've only received 1 piece. The description stated a set of 5 pieces. Can get contact to me oto settle this matter? Thanks. Honda CB 1300 SC54 I had ordered this Force Design Bikini-Cowl with Endurance screen for my husband. It took a while to receive the goods (had some weeks extra delay) but 'Webike' kept us perfectly up to date on this order. Really good service & information, thank you! About the product: high quality made cowl with a really nice lacquer finish that fits our bike perfectly! Looks very nice on the bike, one would think it's an original part. Just be aware for your country's extra custom/import taxes! Conclusion: Top quality ain't cheap but your money is better spend instead of wasting it on cheap imitations! Thanks again, Webike!